Making new keys for your home, office, or car is as easy as calling our company. We handle any and all key cutting Newmarket service needs in a professional and prompt way. Simply contact us and tell us what you need. An experienced locksmith will shortly come your way to cut the key you want and provide service should there is trouble with the existing keys. Is the key broken? Did you lose a key and want to replace it? Newmarket Lock & Key is the locksmith company you want to handle your situation. With years in the lock and key service business, our locksmith has the experience you expect from a company. Let us assure you that we only send your way expert and licensed locksmiths equipped with key cutting machines of the latest technology and a large assortment of key blanks. The pros are ready to cut any key you request and ensure precision service. From typical cylinder lock keys for your home to advanced commercial door lock keys and car chip keys, they make new keys of all styles with the same accuracy. 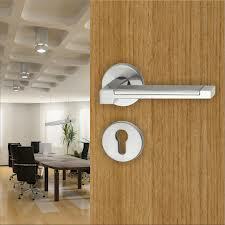 Most locks are advanced today and so key replacing is no longer possible without the right equipment. The locksmiths sent by our company have everything they need at their disposal not only to cut new keys but complete the service requested. Take car keys, for example. If you want to replace car keys, you will also expect from the locksmith to program them. If your office key is broken inside the lock, you will need a pro not only to replace it but also extract it. Worry not. From simple to complex requests, we handle them all with the utmost professionalism. Making keys is not difficult or expensive when you come to us. We choose the best locksmith in Newmarket, Ontario, to send to you and ensure the quality of the service. Is it urgent to replace a car, office, or home key now? Do you need to duplicate a key? Simply call us and a qualified pro will come out for key cutting in Newmarket.